Last week I attended my first New England Crime Bake, a conference for crime-fiction writers and readers. Every year it seems that Crime Bake sells out within weeks of registration opening up, and now I understand why. It’s small (about 300 attendees), it has an outstanding lineup of speakers (this year’s guest of honor was the legendary Walter Mosley), and it offers access to well-known literary agents and editors who are there to help writers like me pitch our manuscripts. As with any new environment, I wasn’t sure what to expect. Sure, there would be people milling about, brandishing canvas bags stamped with the manacled red lobster that is Crime Bake’s logo. There would most likely be more women than men. And I suspected that many of the attendees would be “of a certain age,” as they say in France. But what took me by complete surprise was the sight that greeted me at the opening session. I had chosen a seat at the back of the ballroom to survey the landscape, and spotted a woman who seemed to have sustained a massive head injury. Swaths of black hair were missing from the back of her head. I silently applauded her fortitude for attending this conference following what must have surely been a traumatic incident. And then she turned her head slightly, and it occurred to me that something didn’t look quite right. I pointed my iPhone camera at her and enlarged the image for a better look. That’s when I realized I wasn’t looking at a head injury; I was looking at a bad dye job. 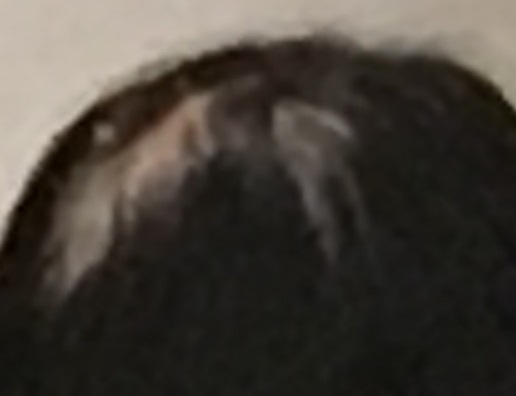 This woman had neglected to color the hair on the back of her head. In “Diamonds are Forever,” James Bond said he didn’t care what color a woman’s hair was as long as the collar and cuffs matched. I might add that it doesn’t matter as long as the front and back match too. It made me acutely aware of how many people see what’s in front of them (say, in the bathroom mirror), and don’t pay as much attention to what may be lurking behind them. It’s a strangely apt analogy for the job of a crime writer. According to Dan Brown, our job is to control the flow of information to the reader. We get to drop clues in the right places to sustain the reader’s curiosity without giving away the ending. We get to show them what we want them to see, shine a light on things we want them to notice, and distract them from what we want to withhold until later. In each of the novels in my Knitting Detective series, my goal is to marry the uniqueness of the setting with a crime that could only be carried out in that place. It’s a challenge I love because I get to immerse myself in the history, culture, customs, patois, etc. of the French city or region where the story is set. Right now, I’m struggling to piece together the puzzle of how a string of murders maps to a local legend. And my experience at Crime Bake couldn’t be timelier. Not only because we all helped each other move our projects forward, but also because the lady whose photo I snapped reminded me of the importance of sustaining suspense from start to finish, striking the right balance between revealing and concealing information, and resolving the mystery in the most satisfying way possible. 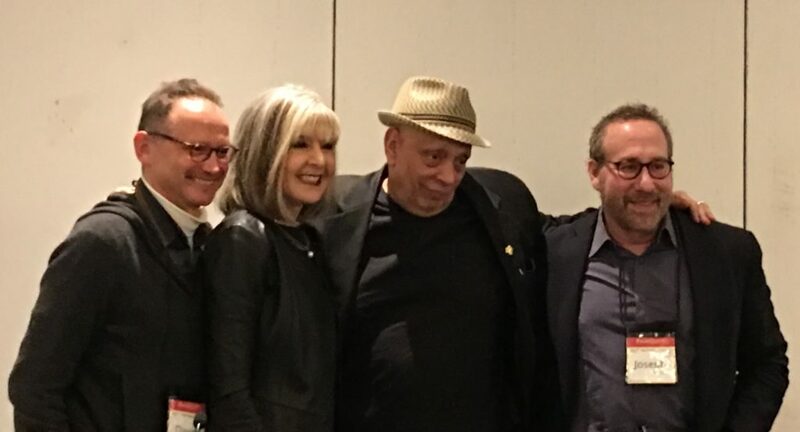 Thanks this week go to my fellow Crime Bake attendees, especially Meg Ruley, Hank Phillippi Ryan, and Paula Munier, who made themselves available to me for specific feedback and advice. As Lifetime Achievement Award Recipient Kate Flora said it best at the end of conference, “A rising tide lifts all boats.” Amen.